This product isn't available to purchase online but you can make an enquiry by clicking the button below. 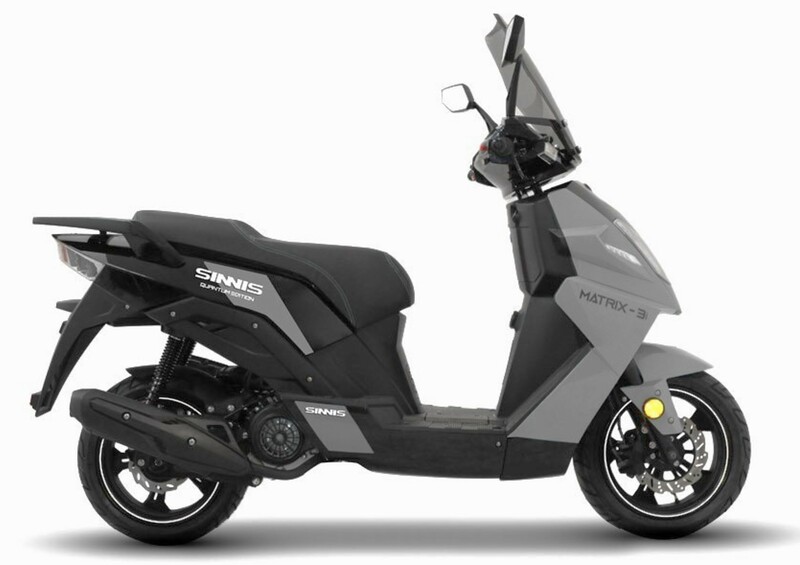 The new Matrix 3 Quantum Edition is bigger, better and more focused than the previous Matrix II, which was our number one selling scooter in 2017. The Sinnis Matrix 3i is the answer to your urban mobility needs. 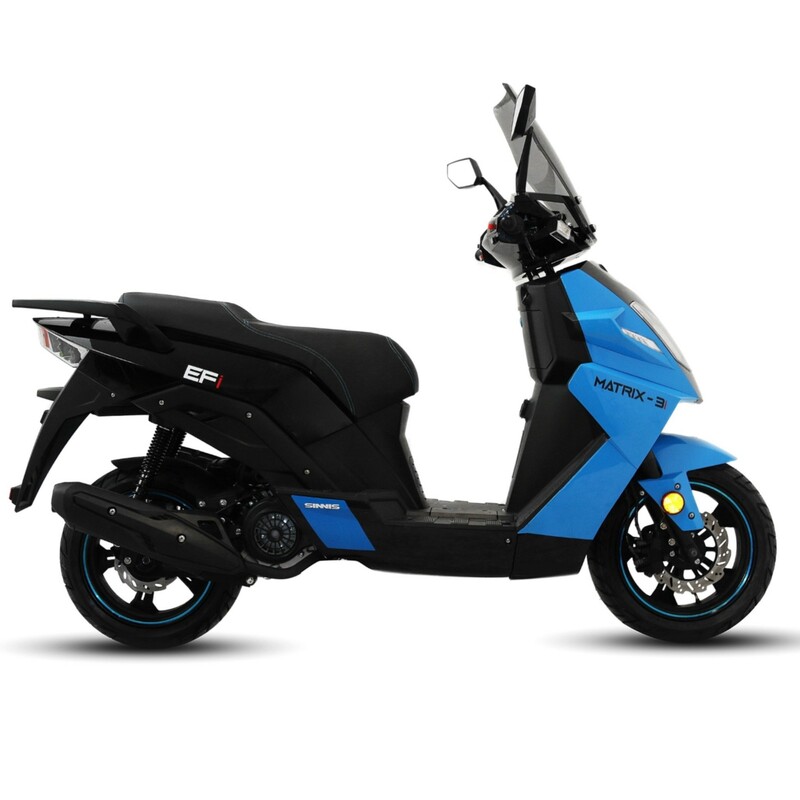 A 125cc automatic scooter, which has serious road presence. 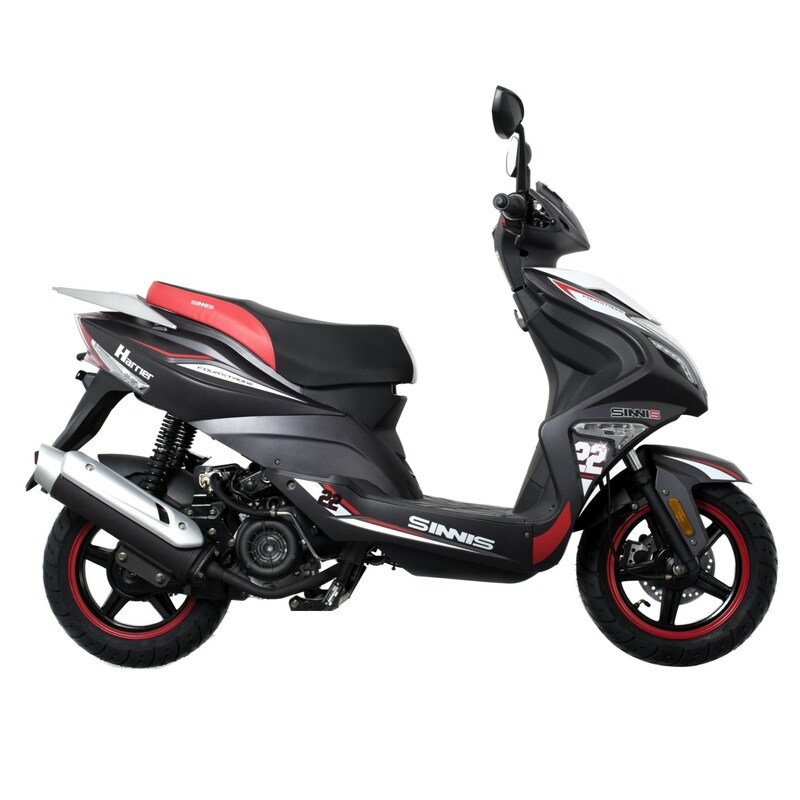 The Quantum Edition is bigger, better and more focused than the previous Matrix II, which was our number one selling scooter in 2017. 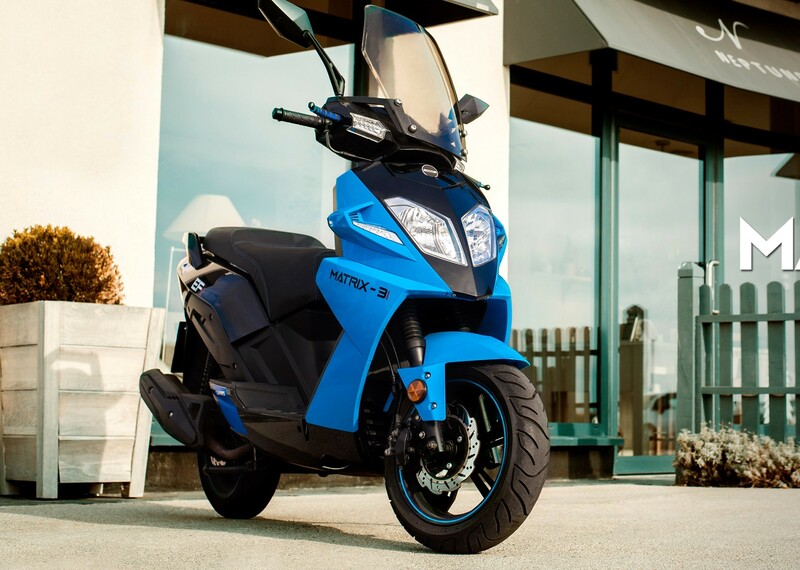 The Matrix 3 comes with a large front screen, keeping you protected from the elements while riding, along with twin halogen headlights, bright LED daytime running lights and indicators keeping you visible day and night. 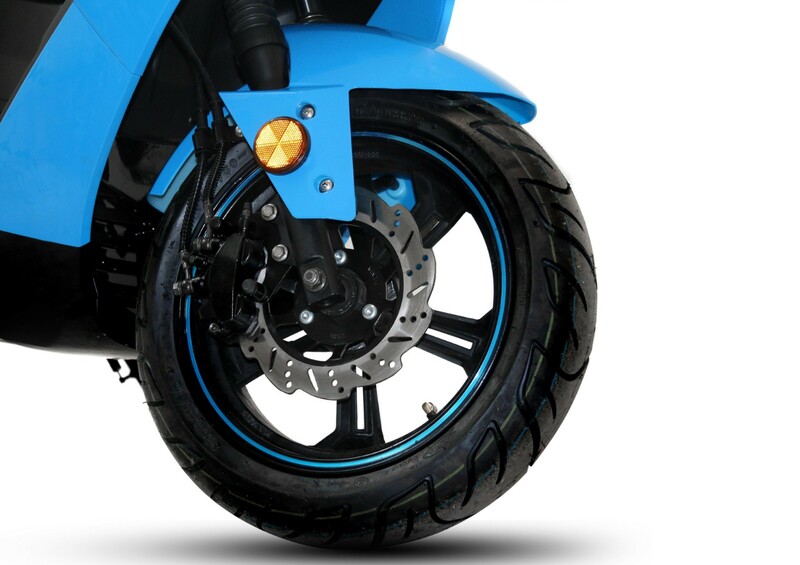 Twin linked disc brakes ensure superb stopping power, giving you more confidence on the road, along with its 13 inch wheels providing a much smoother ride over potholes and speed bumps so common on today’s roads. There is also a handy lockable front storage box and a large under-seat storage compartment which can hold most open-face helmets and some full-face helmets. 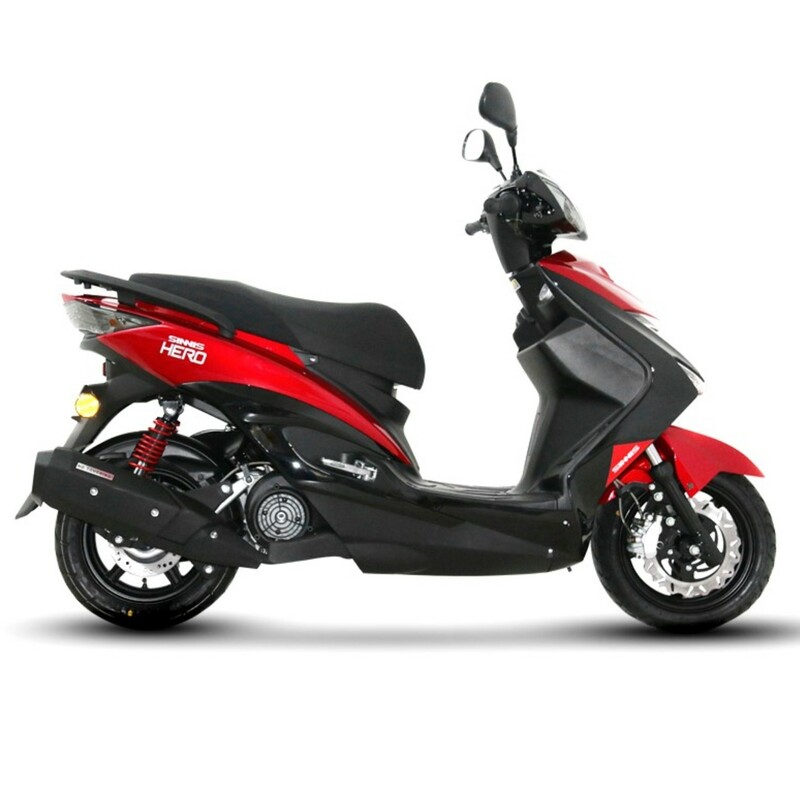 The digital display features a trip meter, battery voltage, fuel gauge, clock and electronic rev counter. You can rest assured that your Sinnis machine will be covered rain or shine. 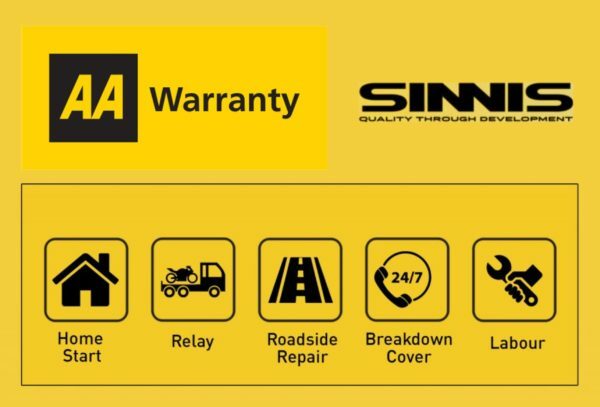 One year’s full AA cover including Home start, Relay, Roadside Repair, Breakdown Cover, Labour, Fuel and battery assist, along with Sinnis’ 24 month parts warranty on 125cc’s and 12 months on 50cc’s you know you can buy a new Sinnis machine in confidence. All Sinnis motorcycles are built to the highest standards using Japanese designed engines to ensure whether you commute, ‘green lane’ or tour you can ‘Enjoy the Ride’ time and time again. Firstly we would like to thank you for considering Nightingales to supply your motorcycle/scooter. We prefer payment by debit card or bank transfer but can also accept cash (Bank of England notes only) credit cards and bank cheques* at our discretion. Sorry but we no longer accept personal cheques. 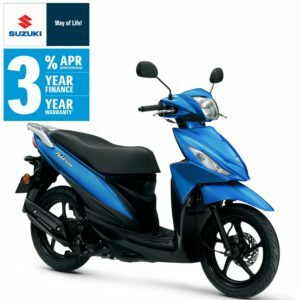 Please ask your salesman for details if paying by bank transfer. *Bank cheques can take several days to clear into our account. If you require delivery in under 7 working days, we would suggest using an alternative method of payment. 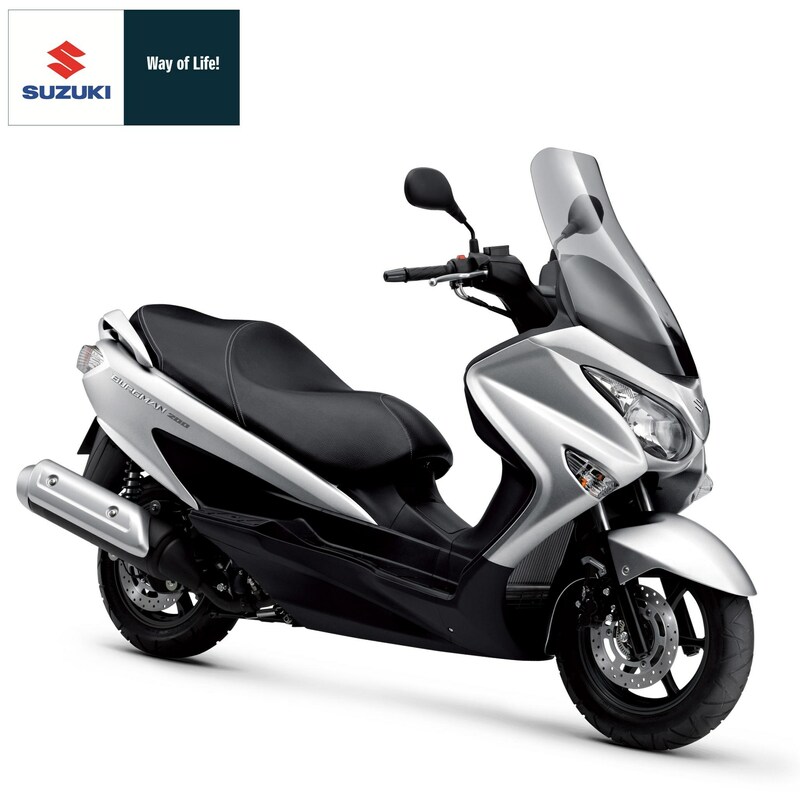 If you require hire purchase or a personal loan, please ask our sales staff for a quotation. Nightingales is a Credit Broker and Intermediary and are regulated by the Financial Conduct Authority. We are not an independent financial adviser and as so are unable to provide you with independent financial advice. We may receive payment(s) or other benefit from the finance provider if you decide to enter into an agreement with them. You are not obliged to use the financial services we offer and are free to use the services of any finance or loan company available to you to finance the purchase of your motorcycle or scooter. We are not authorised to sell P.P.I. 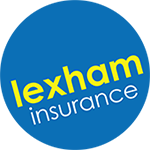 (Payment Protection Insurance) or similar products. If you require P.P.I. you are advised to contact your finance provider or any other organisation offering such products. If for any reason, you need to cancel your purchase, please inform us as soon as possible. This will incur a minimum cancellation fee of £50.00 regardless of your reason for cancellation. In addition to this, we have a legal right to charge for any other costs incurred such as re-stocking fees, obtaining replacement documentation, cancelling the vehicle’s registration with the DVLA, workshop time, any parts or accessories fitted and any other costs involved during the sale and preparation process. 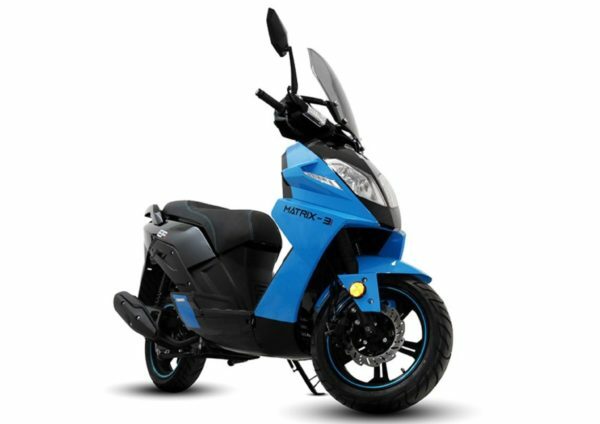 For motorcycles or scooters which we did not have in stock at the time of your order which have been specially ordered, there will be a minimum charge of £150.00 to cover the cost of stocking the item or returning the goods to the distributor. If you have submitted an application for finance through Nightingales and are subsequently declined the offer of finance, the deposit you paid is fully refundable. DVLA registration fees are not refundable. Prior to delivery/collection, your bike will be subjected to a P.D.I. (Pre-delivery inspection). During busier times of the year, this can take several working days due to a high volume of work in our workshop. Your salesman will discuss the date of collection with you once your deposit has been paid. On the day of collection, it is strongly advised that you telephone and check that your bike is ready for you to save any unnecessary waiting when you arrive. Please also let us know if you are unable to collect your bike on the day arranged.  V5 Registration Document. If you have mislaid this, or cannot produce it for any other reason, you must inform us at the earliest possible opportunity, as this may delay the collection date of your new motorcycle. There will be a charge of £25.00 for missing registration documents, as this is the cost of obtaining a replacement.  Owner’s handbook, service record book, spare Keys, previous MOT certificates and any standard parts such as silencers, screens, seat cowls etc. as applicable.  IMPORTANT: It is your responsibility to inform the DVLA that you are selling your bike. This can be done via the DVLA website with your salesman when you collect your new bike, or if you prefer, you can complete and post the yellow V5C/3 section of your registration document. Failure to do this may result in a fine. You should receive confirmation from the DVLA within a few days stating that you are no longer the recorded keeper. We can provide fully insured professional motorcycle delivery to any mainland U.K. address. Please contact us for a quote. We do not ship overseas. You may, of course collect your motorcycle from our shop on Lawford Road, Rugby during shop opening hours. 1. If this Agreement (sale) has been conducted without any face to face contact between the Dealer and the Customer, or anyone acting on their respective behalves, the Customer may give notice to cancel this contract within 14 days without giving any reason. 2. The cancellation period will expire after 14 days from the day on which you, or a third party other than the carrier and indicated by you acquires, physical possession of the goods, or the last good where you order multiple goods at the same time. 3. To exercise the right to cancel, you must inform us of your decision to cancel this contract by clear statement (e.g a letter sent by post, fax or email) to our address details above. We can provide you with a cancellation form should you wish. 5. If you cancel this contract, we will reimburse to you all payments from you, including the costs of delivery (except from the supplementary costs arising if you choose a type of delivery other then the least expensive type of standard delivery offered by us). c. If there were no goods supplied, 14 days after the day on which we are informed about your decision to cancel this contract. 7. We will make the reimbursement using the same means of payment as you have used for the initial transaction, unless you have expressly agreed otherwise; in any event you will not incur any fees as a result of the reimbursement we may withhold reimbursement until we have received the goods back or you have sent evidence of having sent back the goods, whichever is the earliest. 8. You shall send back the goods or hand them over to us at 58-60 Lawford Road, Rugby, Warks, CV21 2EA without undue delay and in any event not later than 14 days from the day on which you communicate your cancellation from this contract to us. The deadline is met if you send back the goods before the period of 14 days has expired. 9. You will bear the cost of returning the goods. 10. You must take reasonable care of the Goods and will be responsible for any loss or damage from when they are delivered until when they are returned to us. You are liable for any diminished value of the goods resulting from the handling other than that what is necessary to establish the nature, characteristics and functioning of the goods.